Jim was born on February 14, 1939 to James R. & Bridget B. (Brzezinski) Ghastin. He was a 1957 graduate of St. Francis and went on to NMC, graduating in 1959 with an Associates of Arts degree. Jim proudly served in the United States Marine Corps as a Staff Sergeant from 1960-1972, including 2 tours in Vietnam. He was employed for over 20 years with the Traverse City State Hospital as a Shift Supervisor and then was a school bus driver for over 45 years with TCAPS. 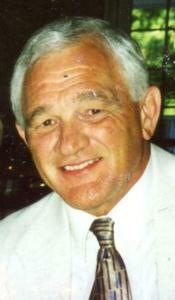 Jim enjoyed sports and attended St. Francis Football and attending other high school sporting events. James coached his daughters in softball and he played softball into his 70’s. He liked watching Jeopardy, Molly B. Polka, Tigers baseball, Lions football. He was known for having the best looking lawn in the neighborhood. Jim is survived by the love of his life, Cynthia A. (Clark) Ghastin, they were married on March 25, 2001; children, Jamie (Gary) Pobuda, Mayfield, Keli (Richard) Hagan, Kingsley, Nicole (Marc) Ketchum, Culver City, CA; step-children, Roberts Lints Jr., Altus, Oklahoma, Erika (Henry) VanGemert, Honor, Pieter (Keturah) Guzinski, Lake Ann, grandchildren, Rick (Brandi) Hagan, Tara Finnila, Candace Pobuda, Julia Blue Ketchum, Nathan MacGirr, Nickolas MacGirr, Emma Jo Guzinski; great-grandchildren, Shealynn Pobuda, Bianca Work, Devin Finnila and Delia Hagan; siblings, Martin (Bernie) Ghastin, Traverse City, Jack (Carolyn) Ghastin and Mary Wurm, Alpena; Sister-in-Law,Anita Ghastin, PawPaw. Jim is preceded in death by his son, Gregory "Jay" Ghastin; granddaughter, Bridgette Hagan; siblings, Burl Ghastin and Theresa Richards. Memorial Services and Military Honors will be held 3:30 pm, Sunday, June 3, 2018 at the new building for Life Story Funeral Home located at 400 W. Hammond Rd., East of Garfield Rd. Traverse City. The family will greet friends starting at 3:00 pm. Please visit www.lifestorytc.com to sign the guest book and share your thoughts and memories with the family. Contributions may be made to GTACS Athletic Department.